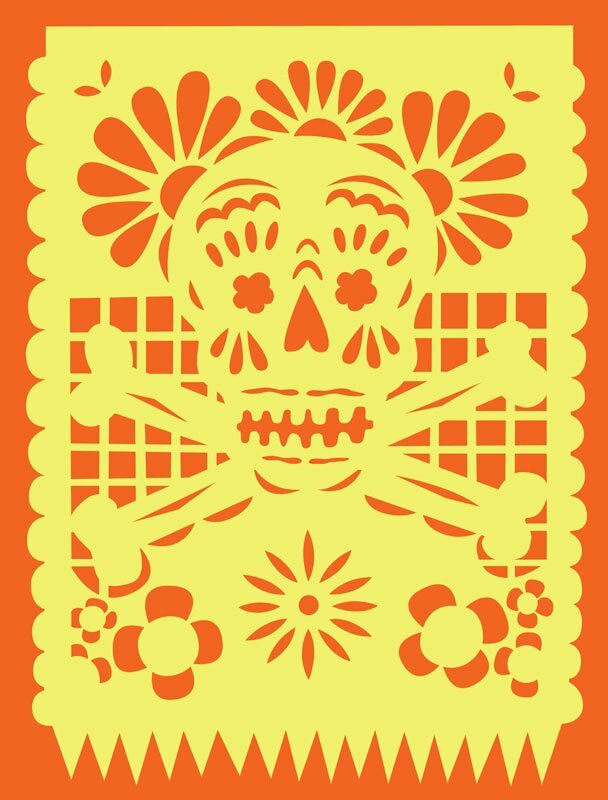 In Mexico, November 1st and 2nd are traditionally spent honouring lost loved ones with the Day of the Dead (Día de los Muertos) celebrations. Colourful decorations are strung about the streets and shrines with marigold flowers, candles, memorabilia and sugar skulls are built to commemorate those who have died. Coming the day after Halloween, there’s a bit of a cross over with jack-o-lantern imagery, spooky masks and skulls, but this is a celebration focused on gatherings of family and friends rather than mischief and trick or treat. 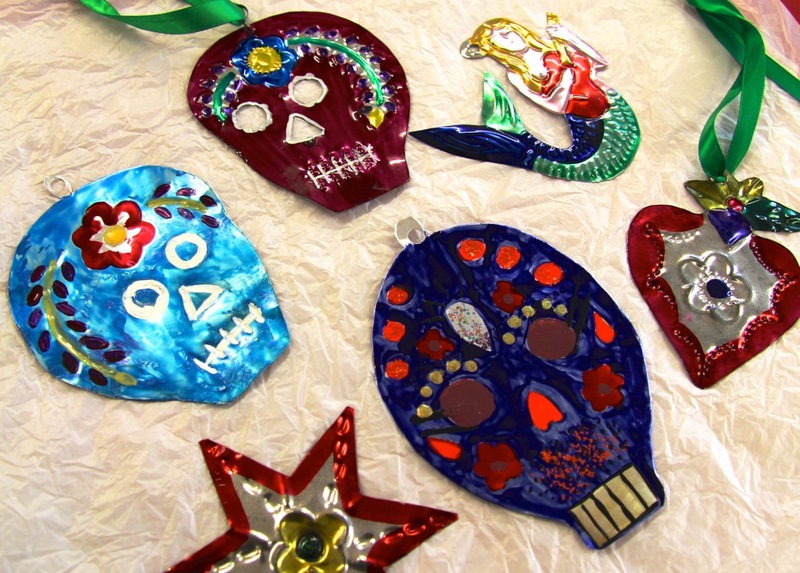 So for Family Arts week, we’ve decided to bring Day of the Dead to Boundary Wharf, and you can try out some of the beautiful crafts seen across Mexico. Everyone can get involved, making, printing, decorating, painting, shopping, looking, remembering and taking part in the celebrations. The activities run from 1pm to 7pm both days, with a party afterwards to relax admire everyone’s creations on the Friday night. Saturday night coincides with the big fireworks display on the Great Lines at 7.30pm. 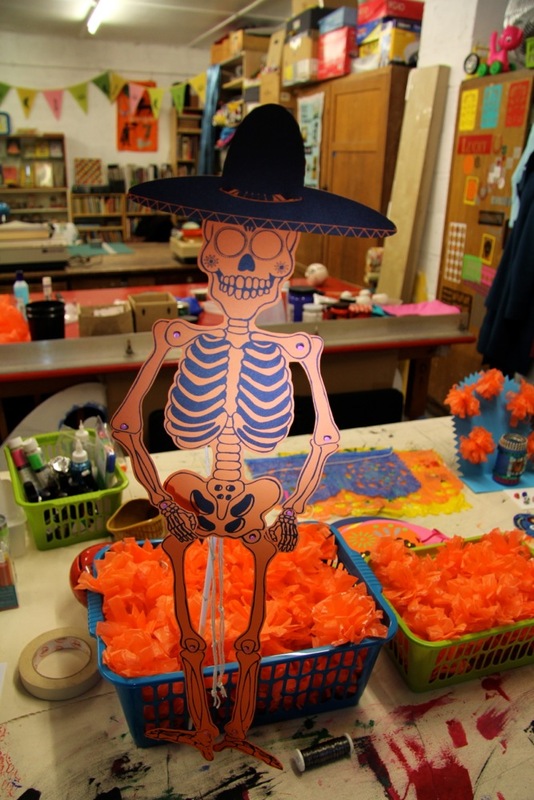 Mexican shrines often include photos or mementos of the person being commemorated, candles, marigolds and other flowers, food offerings, decorated sugar skulls (we’ll have some of these to sell), paper cut and tin decorations, beads, ribbons and anything colourful. They’ll be made throughout the two days and we’ll light them all up as it gets dark. There will be lots of things to create them with, we’ll supply glittery things, card, glues, wax and LED candles, glow sticks, old jewellery etc., but bring along any photographs and memorabilia, beads, flowers, jam jars for candles, fruit/vegetables or anything else that you might like to use or add to the shrines. 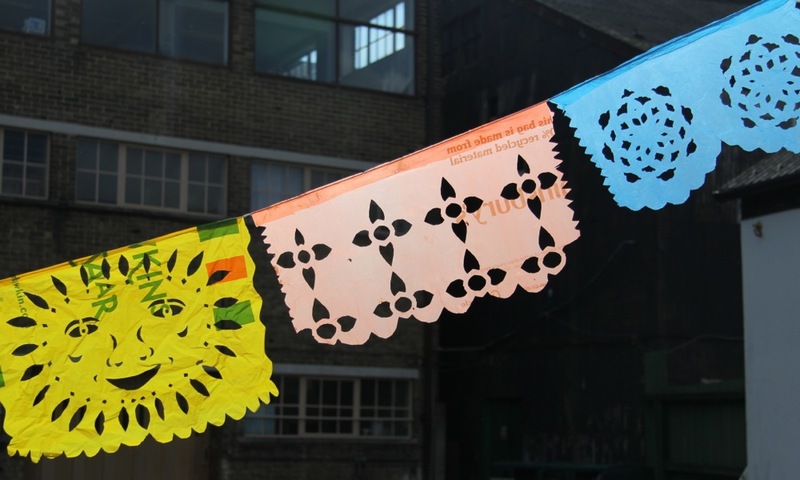 Print a papel picado (paper cut) skull design onto a dinky mini tote or a shopping bag in a choice of colour combinations. You’ll be using Gocco / thermofax screens, an easy screen printing method using lightweight plastic frames and a simple squeegee similar to a credit card. 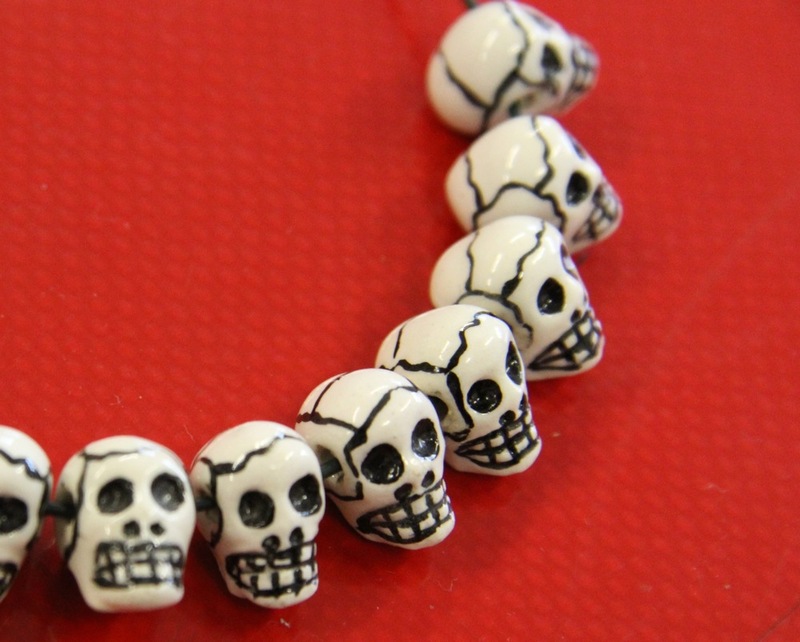 Craft and paint little skull beads from clay, or draw colourful designs onto clear plastic and shrink them down to a fraction of the size with a heat tool. Add to earring parts, hang them from recycled chains, stick them to badges to make a brooch, string them on bracelets or use them to make little figurines as an element of a shrine. We’ll also be lighting up the courtyard in the evening with lanterns, customising spooky masks with stickers, making silhouette pictures and you can contribute to a zine that will become a souvenir of the event. On sale will be hand made sugar skulls and Day of the Dead crafts. No need to book – just drop in. There are activities for all ages but some using sharp or heavy tools are for adults only. Young children need to be supervised for all activities. Check the Visit page for information on how to find us. Invite your friends to come too via our Facebook event page.